We are currently under construction on the site so please overlook the mess. Thank you for your patience. Mo and his famous Humboldt Smoke Bar-B-Que sauce have been raging local favorites for over three decades. 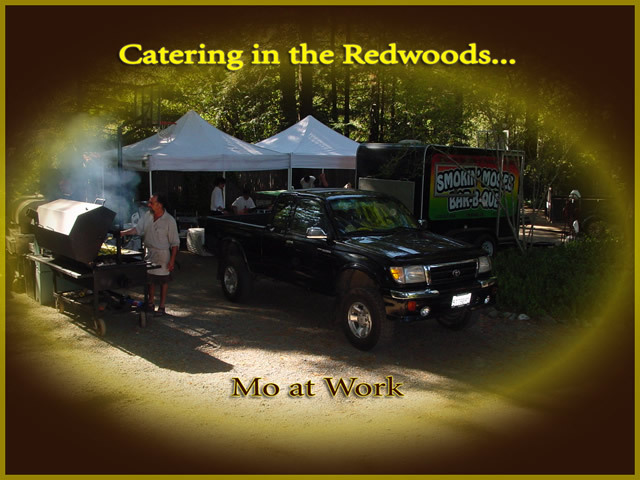 Mo, his catering team, and the famous iron black "Mo" grill have dished up tasty treats for beef lovers, chicken roasters, fish fries, and veg-heads alike. They even do a mean vegan scene. 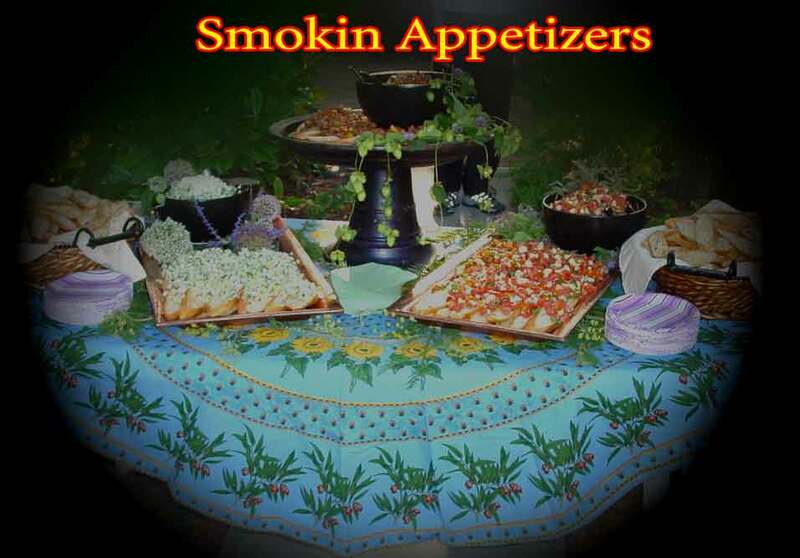 Smokin great grilled oysters, thick rich slabs of saucy ribs, a little minty lemon tabouli, and a whole lot of polite experience and professional presentation skills add life and color to anybody's party. Then of course there is Mo, the master, himself. 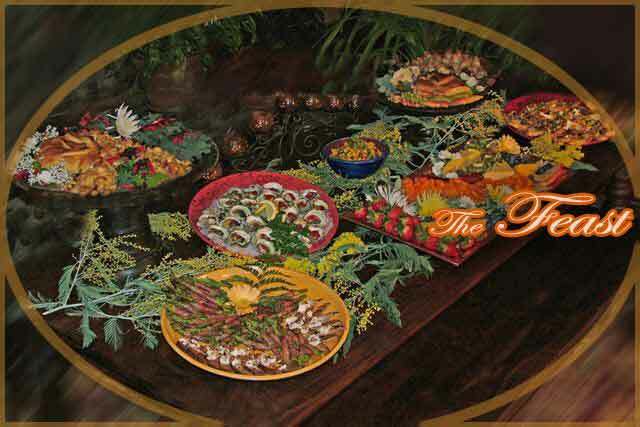 Always a colorful professional splash of zest that hosts ask for again and again, year after year, to give their parties that special feeling that there is a wizard of sauce and life at the helm. Smokin' Mo with sauce in hand is at your service. Just drop us a line at the email link below and we can discuss those luscious menu ideas that will make your party even more memorable.